If you want to learn a little bit more about the rich history of Soljans Estate Winery, then you’ve come to right place! What follows is our story, all the way from Stari Grad to Kumeu. Over 80 years ago, the first delicate grapevine was planted in a West Auckland field. That grapevine grew into the family winery that is still standing today. 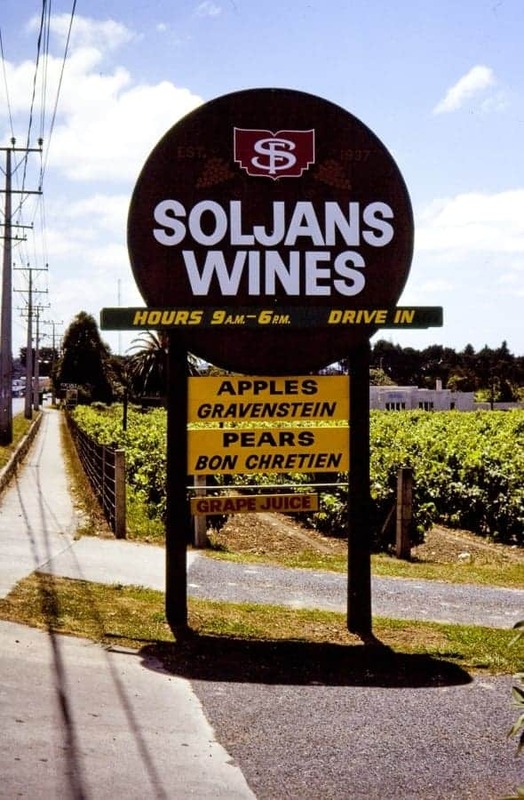 In fact, very few wineries in New Zealand can claim to have a prouder winemaking heritage than us here at Soljans. We are the third oldest winery in New Zealand that is still owned and operated by the original family. From past to present, the story of how we came to be is inspiring, branching across two continents and three generations. 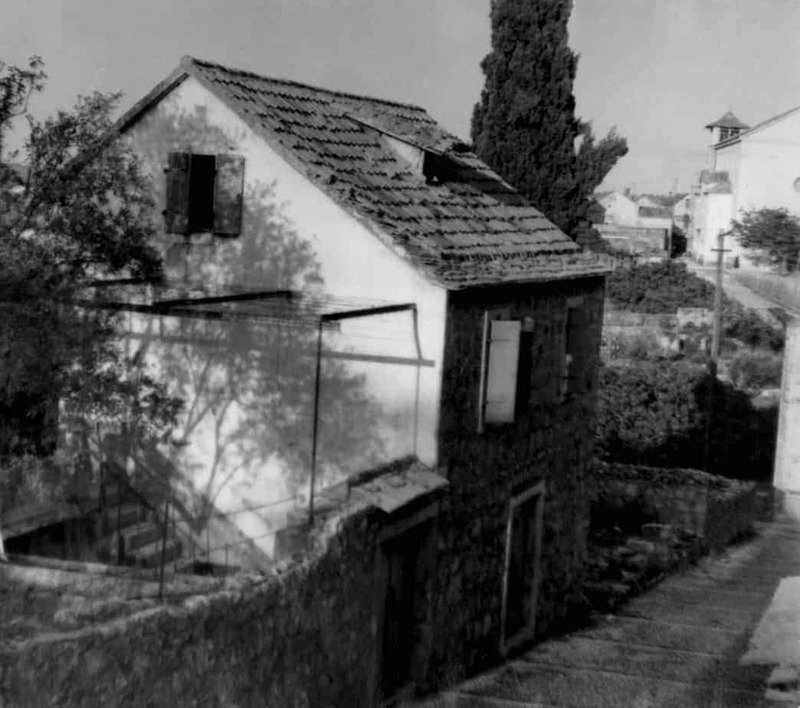 Chapter one begins centuries ago in the little town of Stari Grad, on the island of Hvar in Croatia. It was here, from the cobbled streets, charming buildings and picturesque setting, that our family’s winemaking tradition first started. To the right is an image that we have proudly displayed in our cellar door; it is the family homestead back in Stari Grad. If you look closely you can see a door, and through that door was the family’s wine cellar and coincidentally, also home to the family donkey. In 1927, Bartul Soljan and his wife Rakelina, along with their children sailed to the ‘New World’, with the art of winemaking stored neatly in their hearts. After breaking in the land and planting the first vines, the dream of bringing winemaking to New Zealand, became a reality. In 1932, Bartul established the first Soljans Family Vineyard in Henderson, West Auckland. Chapter Two begins in 1937. 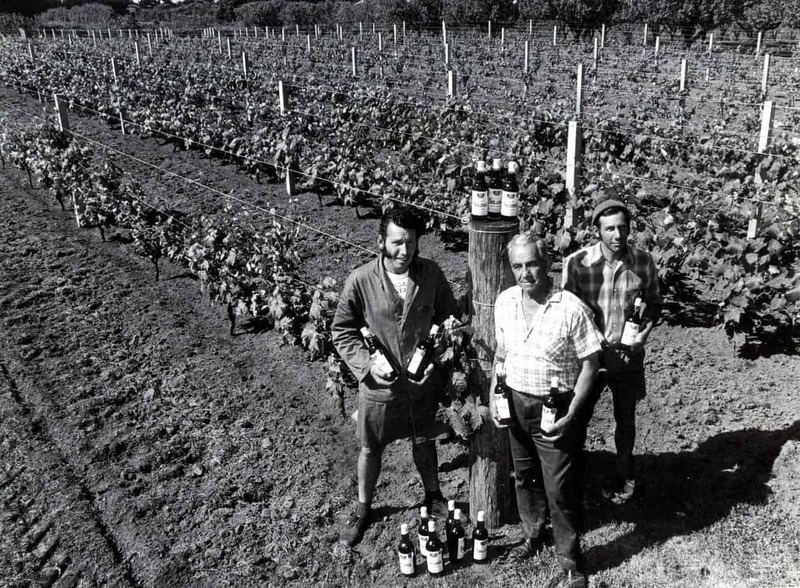 Bartul’s eldest son, Frank, was eager to own his own winery, so in 1937 he purchased a property also in Lincoln Road, Henderson, and Soljans Wines was born. Along with his wife Rona and family, he began to build up his new business. As the 1970s came along, it became time for Frank to pass the reigns of the company down to his son Tony. He and his brother Rex joined the family winery after leaving school. Taking on the wine making responsibility from his father, Tony brought Soljans’ wine onto New Zealand’s dinner tables. Just as with his father and grandfather, Tony had a bold vision to build his own winery out of the city, where he could follow in his father’s footsteps and put his own stamp on the family business. For 64 years, Soljans Estate Winery held its place on Lincoln Road. But it was quickly getting overwhelmed by urban buildings and developments, so Tony made the call; it was time to move. So, in 2002, after a thorough search for the most suitable site, Tony purchased the land we are standing on today here at 366 State Highway 16 in Kumeu. There was a lot of criteria that the new land had to meet, but we managed to find the perfect place, and with full family support, Tony began the big move. A busy three months later, the Soljans Estate Winery standing here today was created. Today our winery stands as the proud gateway to Kumeu Wine Country. The Soljan Family are all very present here at Soljans Estate Winery. In 2001, Tyler, Tony’s Grandson, made his very own bottle of wine at just 5 years old, now in his 20’s, Tyler helps out in the Cellar Door, along with wherever else he is needed and shows an interest in Wine Science at University. That first bottle of wine, a Merlot, still holds its place in the Family Memory Cabinet. Sitting right next to it is Amber’s bottle. 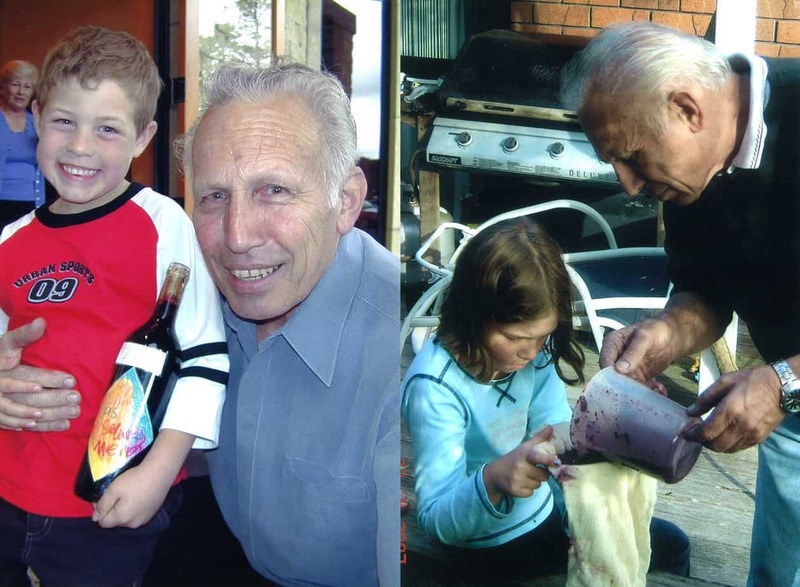 In 2006 Tony’s granddaughter, Amber, made her first bottle of wine, aged 7, earning her the title of the first Soljan girl to make wine. Amber is now at university, and also helps out in the cellar door and anywhere else she is needed. Following family tradition, we currently have three generations involved here at Soljans, Tony Soljan and his wife Colleen, their daughters Tonia and Lisa Soljan, along with Tonia’s children Tyler and Amber Soljan. 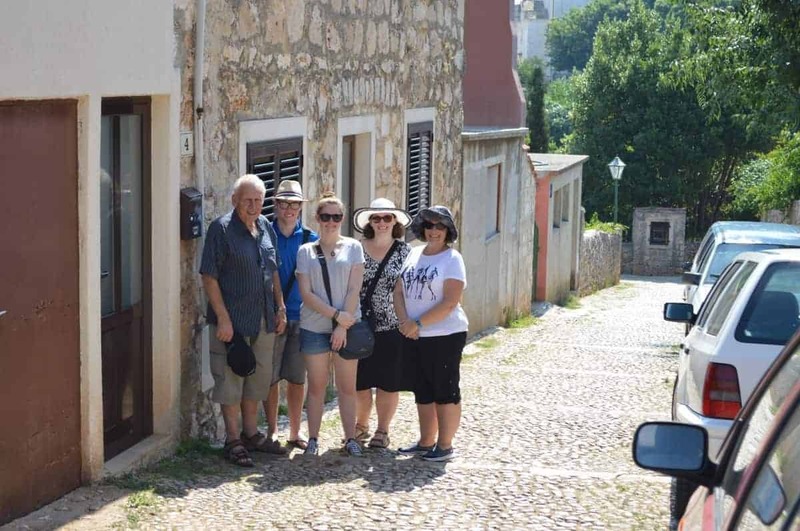 In 2015, the whole family took the trip of a lifetime and visited Stari Grad, where everything started, walking along the old cobbled streets, visiting the old homestead and exploring the land in all of it’s beauty.